For us, August means the end of summer and back to school. About half the month was still summer and half was school days! 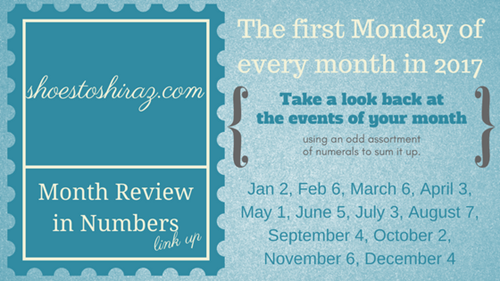 Let’s look at that a little bit more in depth with Shoes To Shiraz for her monthly Month Review in Numbers Link Up!